A detailed look at gear tool resharpening. In Issue 13, we discussed the importance of tool quality and the proper maintenance of a tool that shows signs of wear. In this issue, we will cover the basics of the process used to sharpen the hob. The types of wear on a cutting tool can fall into a number of categories, all of which are undesirable and can reduce the quality of cut gears. To ensure that a tool cuts accurate gear teeth, it is necessary to remove any material that shows signs of wear or damage. This takes us to the first step of sharpening, which is to determine the amount of material for removal. 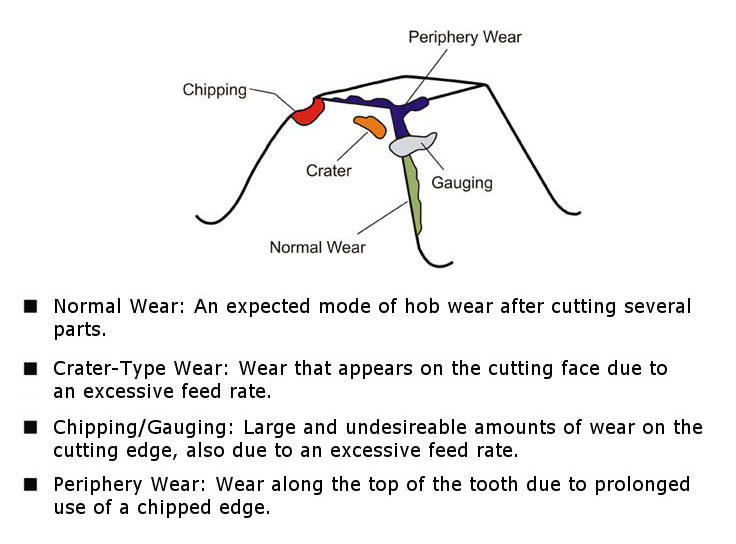 Figure 1 – Examples of typical hob wear. A cutting tool must be evaluated under a microscope so that even minute amounts of wear can be observed and factored into the sharpening process. While in most cases one wants to remove all damaged material, factors such as cost and preservation of tool life also need to be considered. When a tool displays excessive amounts of wear that would require removing more than 20% of the overall tool life, more discerning sharpening should be used. A minimum amount of material should be removed to render the tool with an optimal number of adjacent, usable convolutions of cutting teeth. This “optimization” requires a skilled, experienced technician to balance sharpened convolutions with decreased tool life. In the end, this approach helps maximize tool life while still allowing the tool to effectively cut accurate gears. 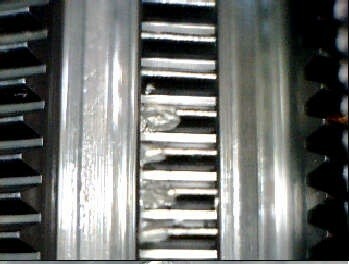 Figure 2 – Example of excessive wear. Once the operator has determined how much material should be removed, a grinding wheel should be selected according to the material and size of the cutting tool. Typically, CBN (cubic boron nitride) grinding wheels are used for high speed steel tools and diamond grinding wheels are used for carbide tools. The geometry of the wheel should be selected to fit the depth and space of the tool’s flutes while maximizing the wheel’s rigidity. It is important to ensure that the work-holding is accurate and held within tolerance. If there is any runout present in the work-holding, it will translate to the tool and will result in errors being sharpened into the tool. Once the tool has been properly mounted onto the correct work-holding and placed in the sharpening machine, the operator must choose the appropriate sharpening program for the tool being sharpened. They must then input all data relating to coordinates, feed rates, spindle speed, and relevant information regarding the tool. It is crucial that the operator understands how each piece of data affects the sharpening process. During the sharpening process, it is important to intermittently true, or dress, the grinding wheel so that it remains “open.” This term refers to keeping sharp grains of the grinding wheel exposed. Inadequate dressing and truing of the grinding wheel can generate unnecessary friction against the tool and create burn marks. For harder cutter materials, it is often recommended to use softer grinding wheels. Softer wheels dull and break down easier, which means that they are quicker to expose the underlying, sharper grains of abrasive material. This in turn reduces the chance of burning, but it requires more frequent dressing. It is vital to use a high quality diamond when dressing a grinding wheel. Once the tool has been sharpened successfully, it must be deburred if needed. It is then ready for additional processing (e.g. coating) or set up for cutting again. — Written by Keith Eller, Application Engineer.